Cast your mind back to the year 1999, long before talk of the MCU and Warner Bros.’ fledging DC Extended Universe, and you’ll likely recall a host of instant cinematic classics in the vein of The Matrix, Fight Club, and The Blair Witch Project. Nevertheless, almost two decades later and we’re now on the verge of Deep Blue Sea 2, which promises the same edge-of-your-seat thrill ride, albeit with added bite. It’s coming sooner than you think (April 17th), too, and to celebrate, we’ve got a brand new clip for you to feast on, which you can see up above. Unfortunately, there’s no juicy shark action here, but it does provide the chance for us to meet some of the new characters. 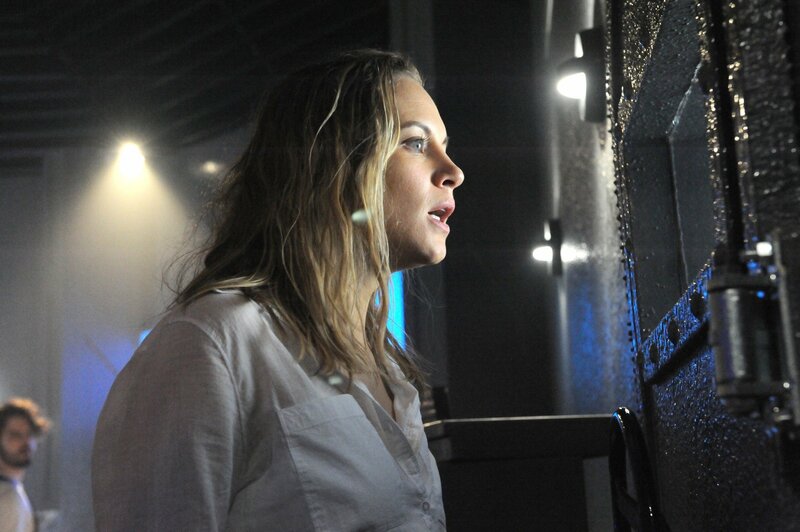 As for the humans set to face those hyper-intelligent sharks, Deep Blue Sea 2 features a cast list comprised of Danielle Savre, Rob Mayes, Michael Beach, Nathan Lynn, Kim Syster, and Jeremy Jess Boado as clinical neurophysiologist Daniel Kim.